Jack Dangermond will be a keynote speaker at the ASPRS conference. 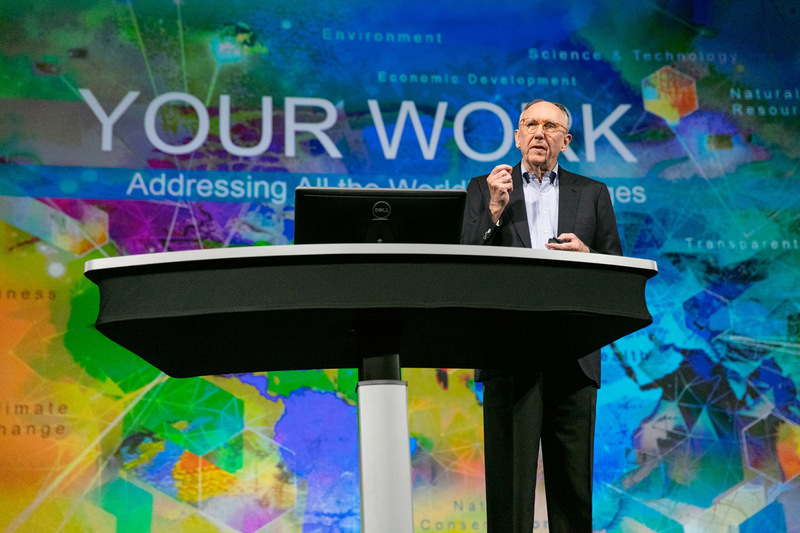 Redlands, California—Esri, the global leader in spatial analytics, today announced that the company's founder and president, Jack Dangermond, will be a keynote speaker at the American Society for Photogrammetry and Remote Sensing (ASPRS) Imaging & Geospatial Technology Forum (IGTF) 2017 annual conference, to be held March 12 through 16 at Marriott Waterfront, in Baltimore, Maryland. Dangermond's talk will touch on the importance of The Science of Where and imagery data in meeting the challenges of a complex world in which location presents a common visual context for us all. Esri will also host a booth and hands-on workshops, giving attendees a chance to work with Esri's Drone2Map for ArcGIS, which streamlines the creation of professional imagery data from drone-captured photography.